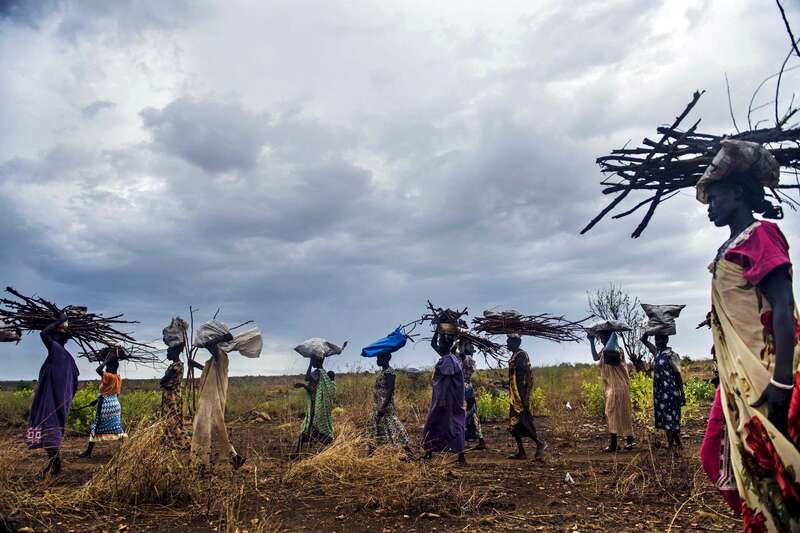 Residents from the protection of civilians site (PoC) collect firewood near the UNMISS compound in Juba. UMISS forces provide protection at designated times to the residents so that they may safely collect the firewood and procure other non-food items. The women face potential threats of danger when leaving the PoC and may be subject to harassment, abduction or sexual violence.